I was running down a rocky, rutted trail in Southern France after just enduring a short but intense ascent up a dirt road overlooking the Mediterranean Sea. We had gotten to that point by way of a few miles of back alley riding around town. I enjoyed the tight and responsive ride of a sample bike I rode to the trail head with nary a pedal bob or sluggish feel. Then I had saddled up on a carbon FS and ridden the dirt section of the ride enjoying a bike that pedaled really well and was quite light despite the XL frame and less-than-Gucci parts spec. This one climbed very well and I remember thinking that I could race this bike just as it was. Now I was on this roller coaster of a downhill ride on a longer travel feeling FS 29er with moderate trailbike angles and thinking that it was almost as good as the Specialized FSR I have on long term test, but it was more agile. This would make a great medium to light/heavy trailbike and would do likely 90% of what the FSR does. The thing was, it was all on the same bike. The townie ride, the fast climb, the tricky downhill...no bike changes. One bike, in this case a Specialized Camber Evo, a Euro spec bike, but comparable to a Camber Expert Carbon for the most part. Carbon main frame, 110mm of front and rear travel, 70* HT angle, decently short chainstays, good tire clearance, bigger front rotor, nice 2x10 SRAM build. Lock out fork and Propedal. Fast but strong wheels. And it occurred to me that 2012 is seeing the rise of the Everybike in the 29er world, that being a nearly do-all scooter that is light enough to race but tough enough, long enough (travel wise) and slack enough to trail ride. It is a 29er bike you can take nearly anywhere and be good to go and that has not been the case until now. Last year the Santa Cruz carbon Tall Boy caught my attention as a bike that, when run with a 120mm fork, was a pretty good do-all bike. Light enough, stiff enough, capable enough. Only 100mm of rear travel, but that was not too much of a deal breaker. Now this year we see the promised Ibis Ripley, something my buddy that works at Ibis called a "Quiver Killer". There is the Camber I was riding, the new Lenz Mammoth just announced, perhaps the Salsa Horsethief, and others to come. So what makes a great Everybike? Glad you asked. Light weight - Not crazy light but somewhere in that 27lb or less range in a XL. 25lbs would be a great target to shoot for. Now that is a number pulled out of thin air a bit, but at that weight and with good wheels, it begins to pull itself along nicely. Some aluminum bikes will not get there. Some will. The Lenz likely will as Devin is a wizard at whittling frame weights down...not sure about the Horsethief or the new Yeti SB95 but they are strong contenders. Perhaps with the right parts. 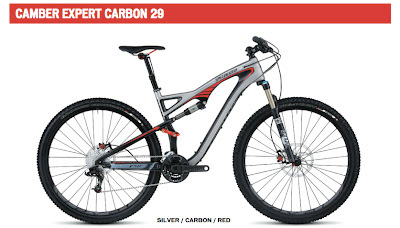 But, in this case, carbon is king and the better Everybikes will be carbon and not cheap. Enough travel - 100mm is not enough. 130mm is perhaps too much. 120mm is likely the sweet spot for the Everybike, but the overall balance will count for more than just the travel numbers. The right spec - Parts need to be prudently chosen to keep the bike responsive and wheels need to be very good. Tires cannot be a weight weenie 2.0 but on the Everybike, you can always change tires for the occasion. The right geometry - Just a bit slacker is better for an Everybike. Not way into the 60*s, but 71.5* HT angles ain't gonna do it either IMO. Now if you have a few 26ers in your garage, then you likely already have one of these 26" Everybikes. Something like a carbon Stumpjumper or a Yeti 575 or maybe even a Ibis Mojo SL. It is a bike that you can run on the weekends with your buds and still hang in the Team 12 hour before you head off to the Bike Park to ride the 'Blue' rated trails. Not brilliant at anything, but very good at everything. 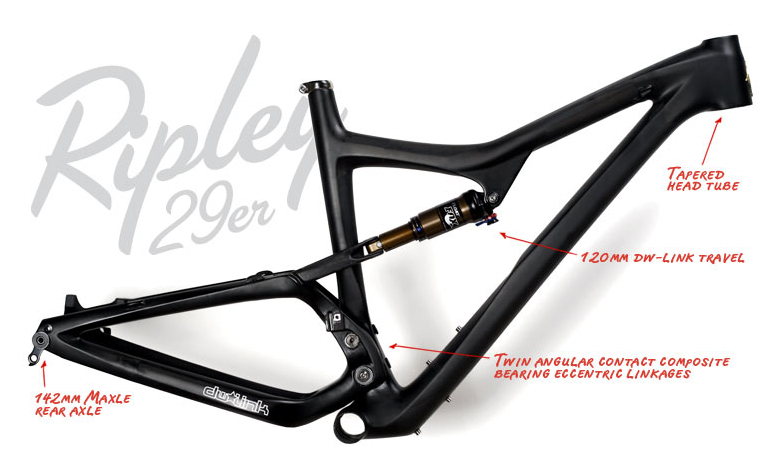 The Everybike 29er is here now too and they are gonna' sell a ton of them. So is the Camber that good? Would you take it over a Tallboy given the chance? Well, compared to the TB I rode, the Camber is heavier but stiffer. I had issues with the VPP suspension. I just was not a fan. So given a chance, I would choose the Camber but the TB with a 142x12 rear end (to stiffen up the back section) and a 120mm fork would be a killer bike for most trail use.